Happy Friday! And happy Friday the 13th! 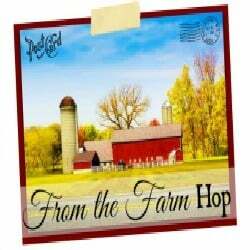 Welcome to another From the Farm Blog Hop! We are so happy that you could join us this week, and we can’t wait to see what you’ll be sharing with us!!! But before we do that, let me share the Quote of the Week. Approximately daily I post a quote on my Facebook page and the most popular one becomes the Quote of the Week. I’m really pleased that this quote by Beethoven became this week’s Quote. On Monday the Boy played in his All City Band Concert–with lots of very gifted young musicians from throughout the city. They played on a big, fancy stage and it was a wonderful experience for him! I shared this quote that evening… not that I heard any wrong notes–all the kids did an amazing job!!! Tagged Beethoven Quote, From the Farm Blog Hop. blog hop, Quote of the Week. Bookmark the permalink.